Throughout the years Japan has given movie audiences a terrifying stream of monstrous Kaiju (怪獣) - from Godzilla through to Rodan, Mothra and Gamera, these creatures have wreaked horrifying havoc across movie lands breathing fear (and occasionally mirth) into the hearts of all who encounter them. Slightly lesser known is the Korean contribution to the genre - though not as globally famous, both the Republic of Korea and the Democratic People's Republic of Korea boast fantastical movies which draw inspiration from the creature features of Japan. 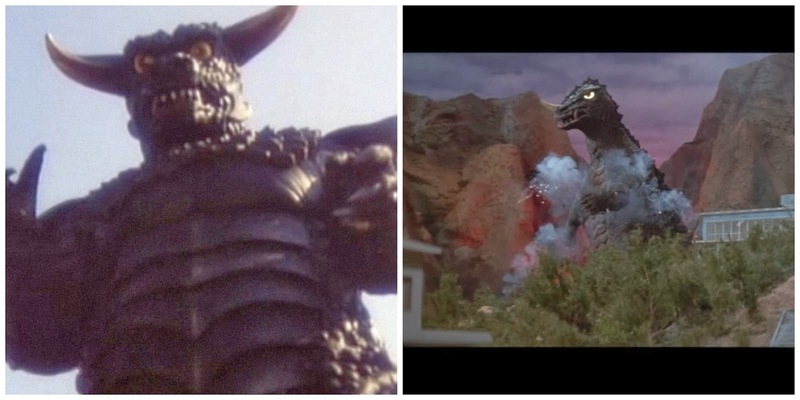 The less kind-hearted would state that both South Korea's Yongarry, Monster from the Deep (1967) and the North's Pulgasari (1985) are low budget, low quality Godzilla rip-offs. Unlike the Land of the Rising Sun's parade of dueling monsters, however, Yongarry and Pulgasari have never faced off with one another on the big screen - as such, The Totality have taken it upon ourselves to speculate which one of these gargantuan lizards would emerge victorious in a face-off by comparing aspects from each film to determine which is the greatest. The great Shin Sang-ok is one of the most acclaimed film-makers in South Korean history - his 1958 movie A Flower In Hell is considered one of the nation's first truly great pieces of cinema and, in a career spanning many decades, Shin created an ouevre which few of his contemporaries could compete with. He did not, however, helm the South's Yongarry - instead, somewhat bizarrely, Shin is the reluctant auteur behind Pulgasari. 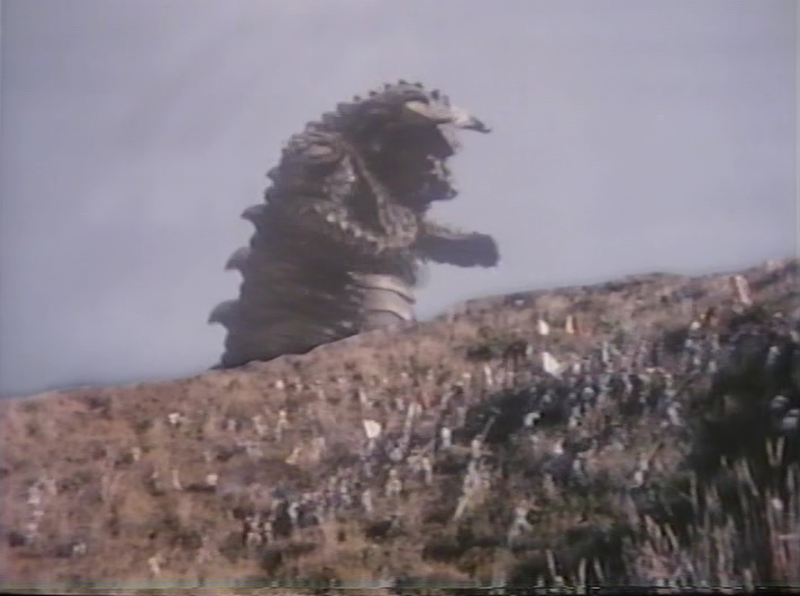 Kidnapped by the movie-loving Kim Jong-il in 1978, the director was forced to create a gaggle of Communist propaganda movies for the future dictator with the giant lizard disaster-piece Shin's most widely seen creation from this time. Luckily, the director managed to escape the despotic North after a number of years in captivity. Unluckily, he fled to America and found work helming 3 Ninjas sequels under an assumed alias. The South (and Yongarry) is represented in this showdown by a name much more familiar to those who keep an eye on contemporary world cinema - that of Kim Ki-duk. Yet, although this name might cause many to recall art-house experimentation such as 3-Iron and Arirang, once again initial assumptions may prove incorrect. The Kim Ki-duk in question here is not the Venice winning outsider of Spring, Summer, Autumn, Winter and Spring... fame but rather, and somewhat deflatingly, a namesake from the 1960s. 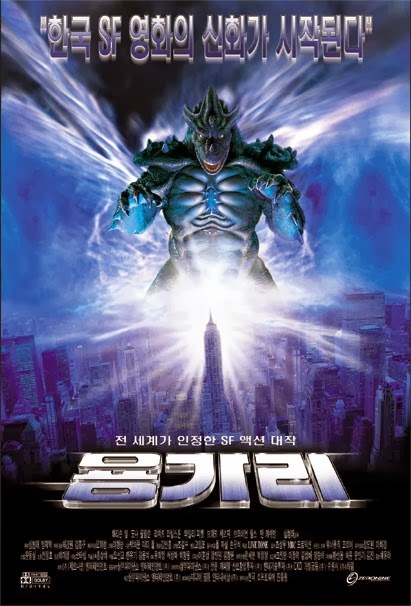 We would pay good money to see what misogynistic slant the modern Korean director could shoehorn into a Kaiju movie. As much as giant lizard films have plots (other than lizards destroying things), Yonggary and Pulgasari can be separated by one major factor. Whereas Kim's Yonggary attempts (and fails) at nothing more than being lightweight populist entertainment, Shin's Pulgasari boasted a hands-on executive producer with very strong ideologies on what a film could and should be. 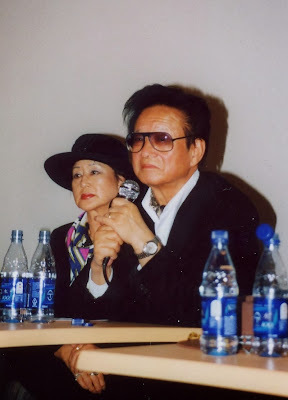 Kim Jong-il, writer of On The Art of Cinema and The Cinema and Directing, was determined that his feature would contain a very pro-Communist message. An out of control monster (representing capitalism) can only be destroyed when the workers of North Korea combine for the common good. The winner? The people's democratic republic convincingly defeat their demonic nemesis. Despite the generally poor regard with which Yongarry is held, the South Korean film industry of the late 1990s decided that a remake of the title would be able to compete on the global stage. Repeated critical mauling would suggest it would not. Two years after its release, the film was re-cut, renamed and re-released as Reptilian. The pseudonym change did not alter the general consensus that the feature was poorly acted, directed and boasted sup-par special effects. Pulgasari, however, is a feature which, whilst never likely to be reappraised as a misunderstood masterpiece, has received fans as disparate as Jonathan Ross and Kenpachiro Satsuma. The performer who portrayed Godzilla for over a decade into the nineties damned Shin's monster movie with faint praise by noting he preferred Pulgasari to the big budget Hollywood version of the creature in Roland Emmerich's diabolical adaptation. Whilst both of these Korean monster movies are the proprietors of dodgy costuming and special effects, poor dialogue and flimsy plots, Pulgasari wins this face-off with a fair degree of ease not necessarily because it is a greater film but, rather, because the legend behind the movie is a much more interesting tale.